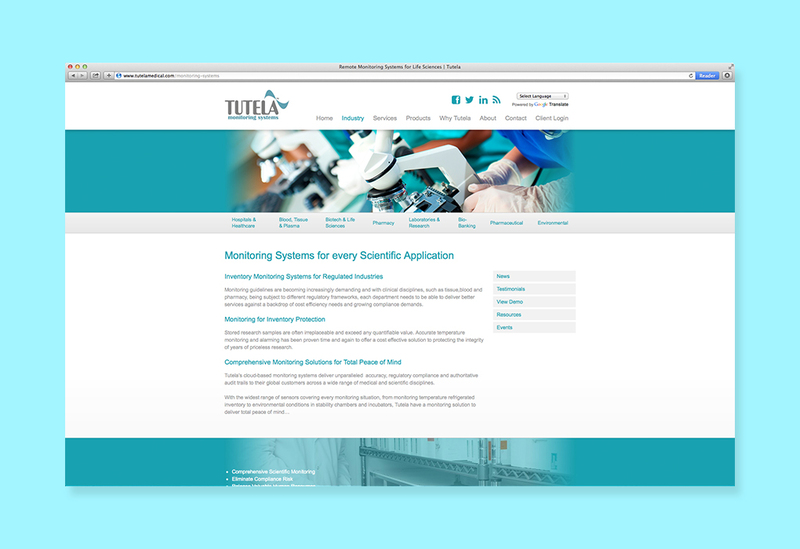 Snap Marketing created a new website design for Tutela, scientific monitoring specialists to support the fine tuning of Tutela's marketing strategy in 2 key areas. 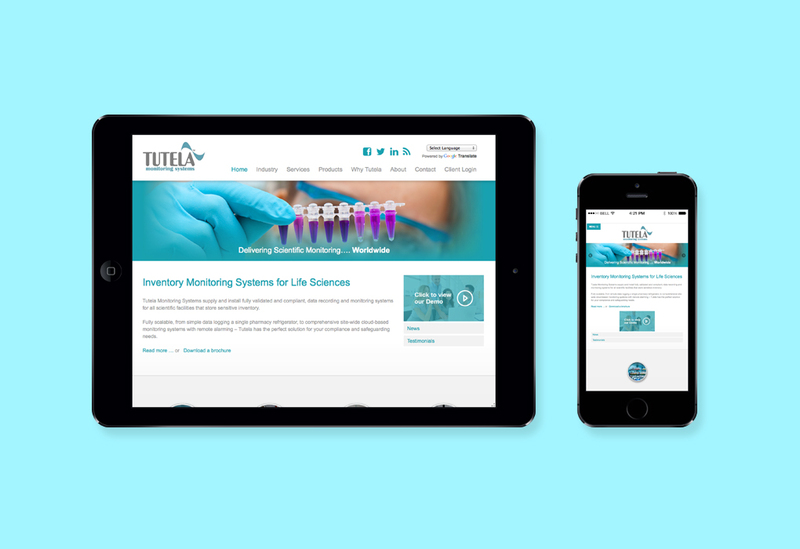 As their business expanded, Tutela needed to rank well in more than one geographic location. 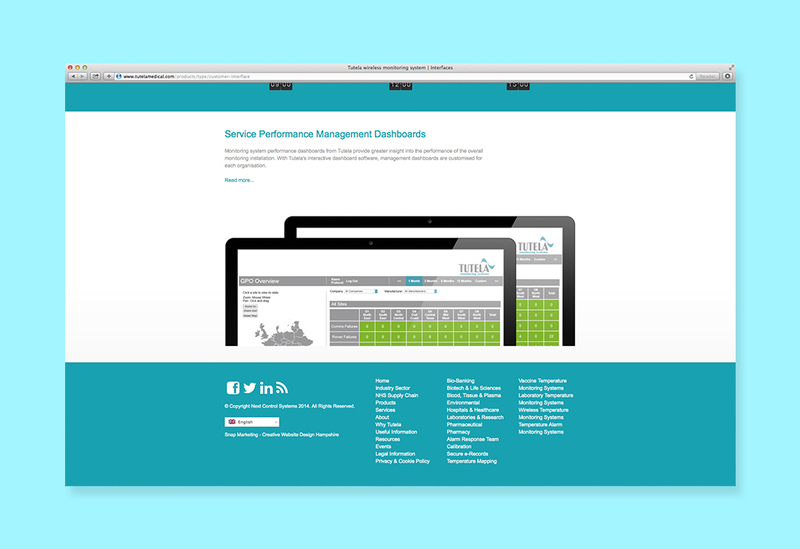 Already ranking page one for 30 main keywords in the UK, Tutela needed traffic from US based prospects. 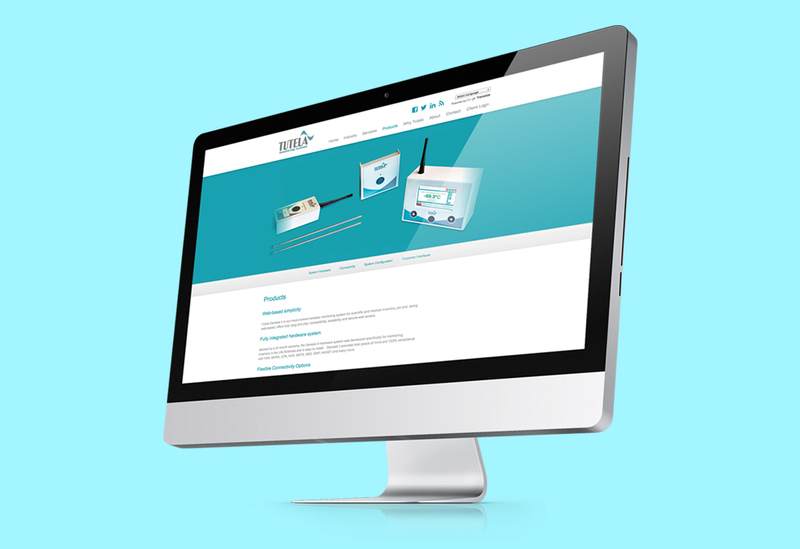 The site was re-developed to present a US version to US browsers and the UK version to the rest of the world. 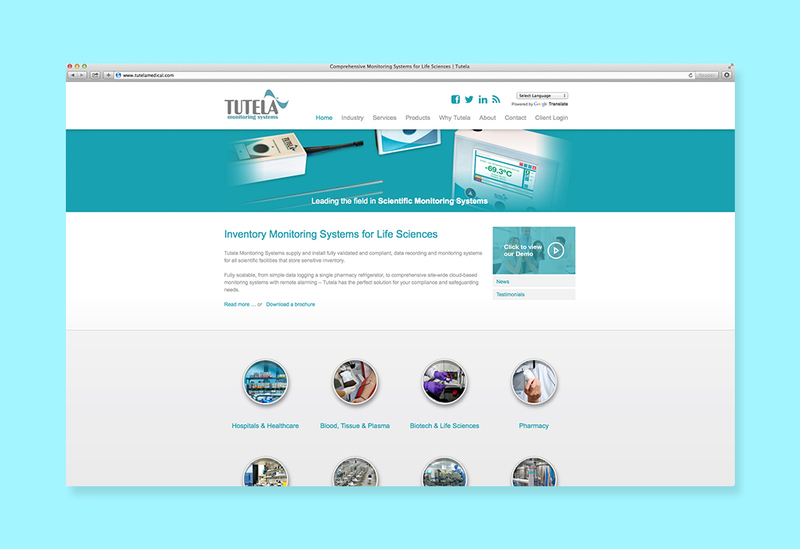 Tutela had previously targeted the medical sector, but felt that strategically this was too limited as their monitoring system was perfect for a number of scientific applications. New market sectors were created within the site, and the Tutela system was repositioned in to order to serve a wider Life-Sciences target audience.